“Shaking The Blues Away” was originally written for The Zeigfeld Follies of 1927. 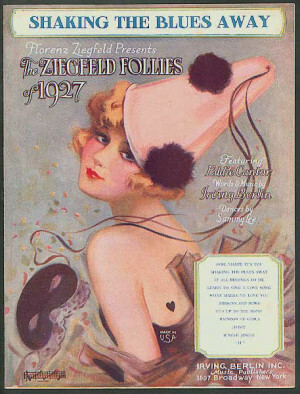 It was introduced by Ruth Etting, who was making her first appearance in the Follies. Berlin pulled it out of the trunk for 1948 film Easter Parade, where it was a dance number for Ann Miller. “Shaking The Blues Away” was recorded in May 1987 and was released that year on Bennett/Berlin. This song was arranged by Tony Bennett.